The Massachusetts Democrat, who's running for president, plans to make the announcement at a conference hosted in Manhattan by the National Action Network – a civil rights organization founded by the Rev. Al Sharpton. According to excerpts of her speech shared by her presidential campaign, Warren will describe the filibuster as having been used for generations as "a tool to block progress on racial justice" and will rally Democrats to join here in the cause. "When democrats next have power, we should be bold and clear: We're done with two sets of rules – one for the Republicans and one for the Democrats," Warren plans to say. "And that means when Democrats have the White House again, if Mitch McConnell tries to do what he did to President Obama and puts small-minded partisanship ahead of solving the massive problems facing this country, then we should get rid of the filibuster." "It almost became the law back then. It passed the House in 1922. But it got killed in the Senate – by a filibuster. And then it got killed again. And again. "More than 200 times. An entire century of obstruction because a small group of racists stopped the entire nation from doing what was right." 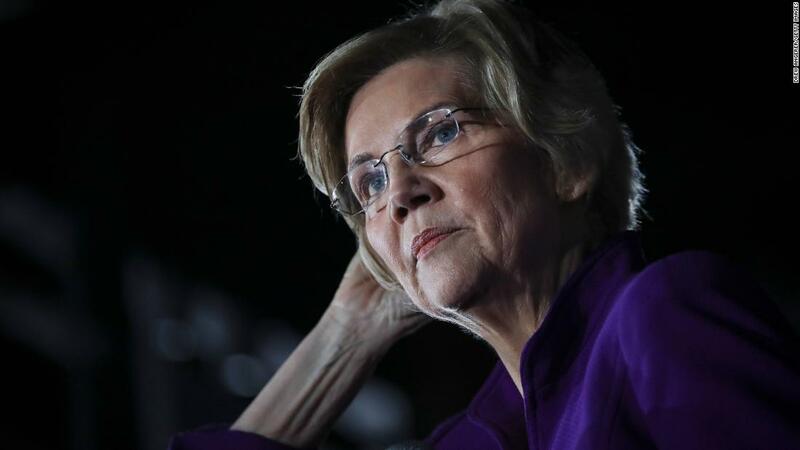 Warren's announcement appeared intended to send a clear message that if she were to become president she would aggressively pursue a liberal agenda and would have enacted into law bills that would probably not have buy-in from Republicans. Her remarks are also likely to thrust the controversial issue of the filibuster in front of other 2020 democratic presidential candidates. The legislative filibuster is a method by which the minority party can delay and block consideration of a bill by indefinitely drawing out the debate over a bill. It is considered a central feature of the Senate that differentiates it from the House, where a simple majority rules. The bolsters the voice of the minority party and can slow down, or stop entirely, legislation that does not have some bipartisan buy-in. Currently, a "supermajority" of senators – 60 of the 100 – must agree to end debate and hold a final vote on a bill. This means that unless a political party has 60 senators who reliably vote along party lines, consideration of legislation can be blocked by the other party through a filibuster. Given that Democrats currently control 47 Senate seats and face a political map with limited pickup opportunities in 2020, the party is unlikely to have 60 seats in the Senate in the near term. This means some of the party's most ambitious policy proposals laid out by presidential candidates like Warren, on issues ranging from health care to tax policy to the environment, would be difficult to pass – and sent to a future Democratic president for their signature – unless the filibuster were eliminated. The procedure has long been a frustration for majority-party senators and presidents who see their priorities stalled. Proponents of the filibuster – including more than 60 senators from both parties who signed on to a later in 2017 pledge to defend the rule – say it is a necessary tool to maintain the semblance of a bipartisan approach in the Senate. But momentum behind getting rid of the filibuster has grown in Democratic circles, and President Donald Trump – frustrated by stalled legislation when Republicans controlled both chambers of Congress – has also called for it. Senate Majority Leader Mitch McConnell, in Kentucky Republican, has repeatedly said it is not on the table, however. Warren's decision to call for the elimination of the filibuster by invoking the anti-lynching bill is not possible, given how racial issues have already dominated the 2020 Democratic primary. The senator has made racial inequality and is a major theme of her campaign, and has several policy proposals, including on housing and her call to eliminate the Electoral College, to the broader goal of boosting racial equality. "We can" t sit around for 100 years while richer get richer and more powerful and everyone else falls further and further behind, "Warren will say Friday, according to excerpts of her speech. "We can't sit around for 100 years while climate change destroys our planet, while corruption pervades every nook and cranny of Washington, and while too much of a child's life in life still rests on the color of their skin. Enough with that. "